Tramontina was founded way back in 1911 in Brazil and Tramontina USA was founded in 1986. 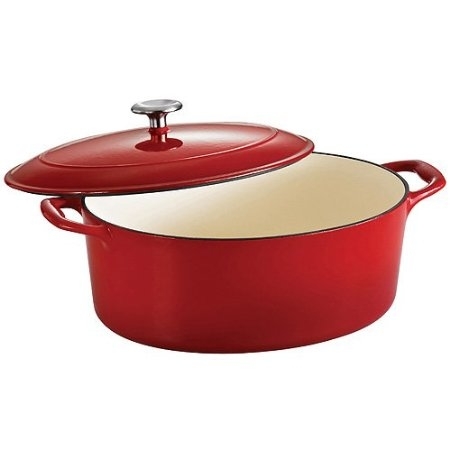 Their Dutch Ovens have become more and more popular as an inexpensive alternative to brands such as Le Creuset. It is certainly true that Tramontina Dutch Ovens are hugely popular with customers as Amazon reviews make clear. 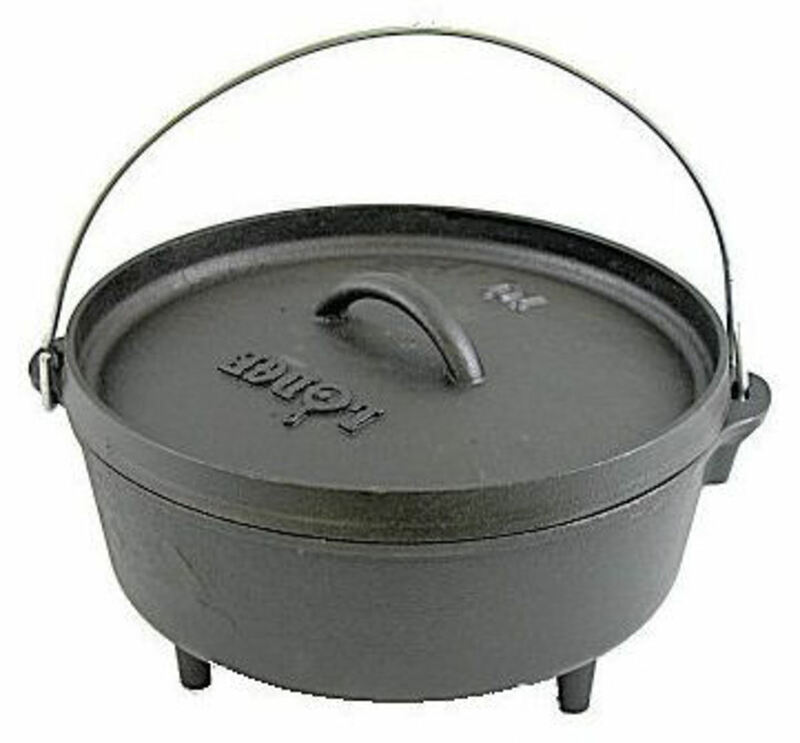 In fact, Google search statistics show that on average, 2,900 people in the USA are searching every month on Google for a Tramontina Dutch Oven! Price comparisons show that Tramontina cookware offers exceptional value for money when compared with brands like Le Creuset. They compete well in style too, with improved designs and new materials. I bought my oldest Dutch oven many years ago (not a Tramontina though). It has seen more than 20 years of regular use and I could not be without it. I love it so much that a few years ago, I bought an oval one to complement the round one. I find the oval one perfect for cooking joints of meat and the delicious gravy made from the pan juices always gets many compliments! ** All prices as at publication date and are intended as a comparison guide only. The lining of the Dutch ovens in the range is made from porcelain enamel which is not only good looking, but very hard wearing and easy to clean (check out the tips in the video we provide if you have burnt on or baked on deposits to deal with!). You should not put this cookware in the dishwasher, hand washing is recommended. 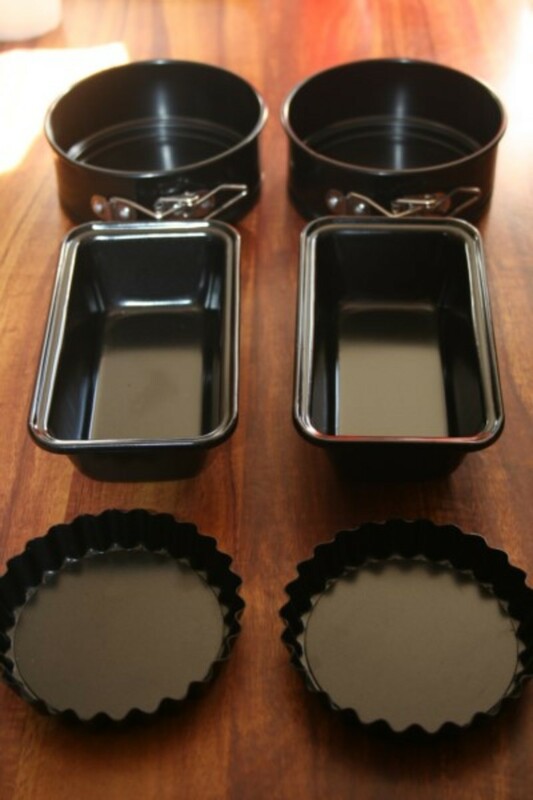 The enamel lining also means that no pre-seasoning is required when you use your cookware. 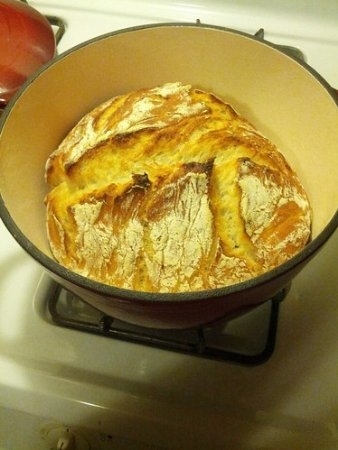 The great thing I love about using a Dutch oven is its versatility! I can cook a one pot meal in my oven or on the stove top. 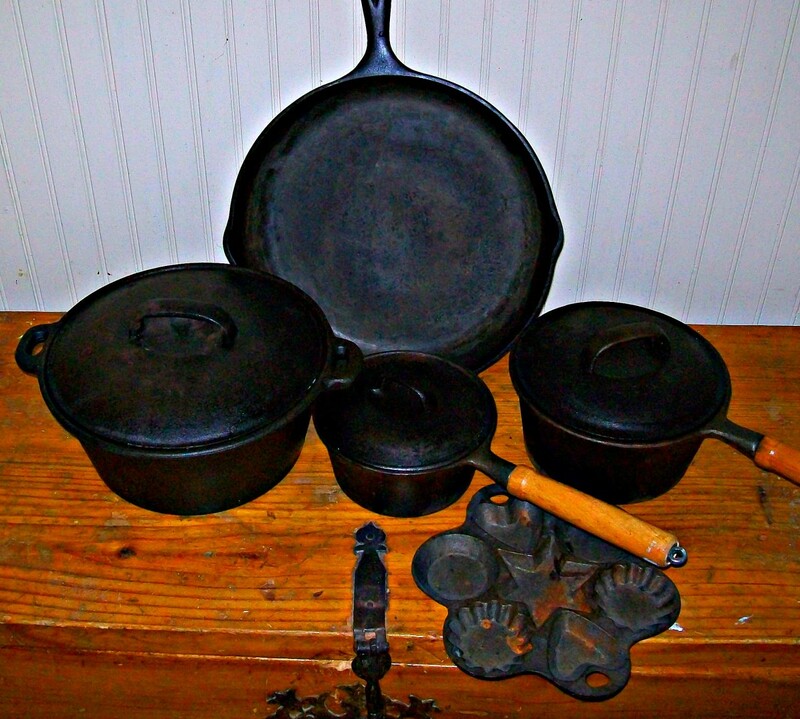 I can take the complete thing, from oven to table and serve direct from the Dutch oven. 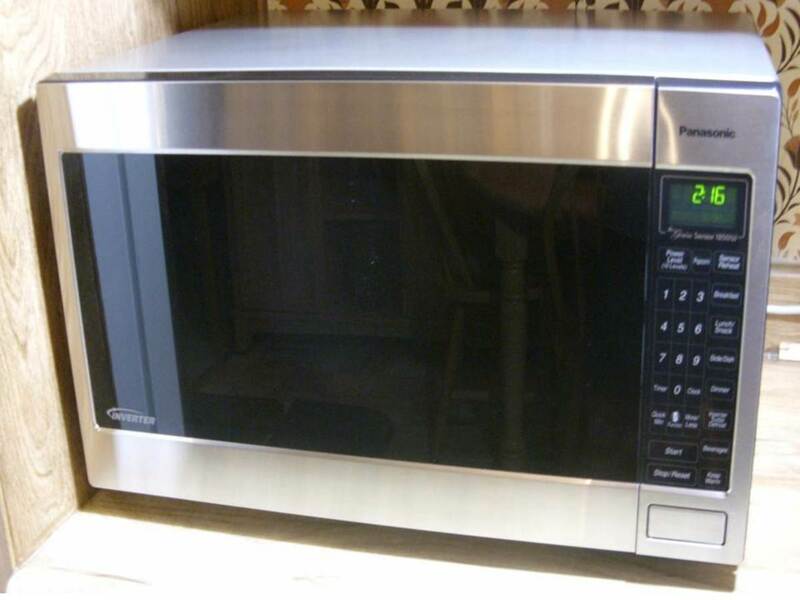 I can chill the meal I have prepared by placing it in the refrigerator and keep it for serving the next day. 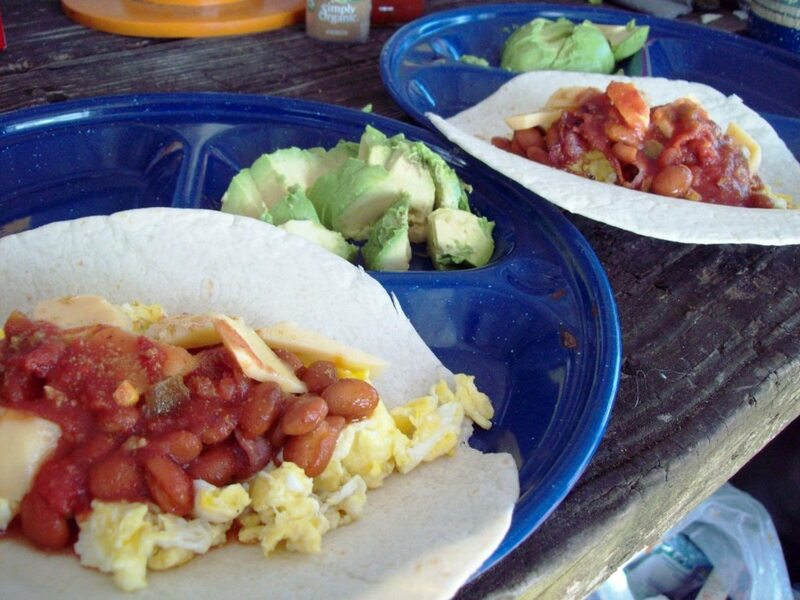 When camping, I can easily use it to cook up some great meals for the family, it is so simple to just have everything in one pot! Tramontina Lids Have Self Basting Ridges! If you want to use your Dutch oven as a covered casserole dish, there is a nice refinement that my own cookware does not have! The lids are ridges so that as the juice laden steam rises and condenses on the inside of the heavy lid, it drops back down onto the food along the ridge lines that can be clearly seen in the picture of the oval one below. This allows for even basting of whatever food you are cooking and ensures that meats are moist and full of flavor. You can use your Tramontina Dutch Oven in gas, electric or solid fuel ovens or when cooking outdoors. You can also use them on your cooktop whether you have glass, electric, ceramic or an induction hob. If you are looking for a stylish addition to your cookware that will provide a lifetime of service (Tramontina give their Dutch ovens a lifetime guarantee), there is sure to be a size suitable for your family. 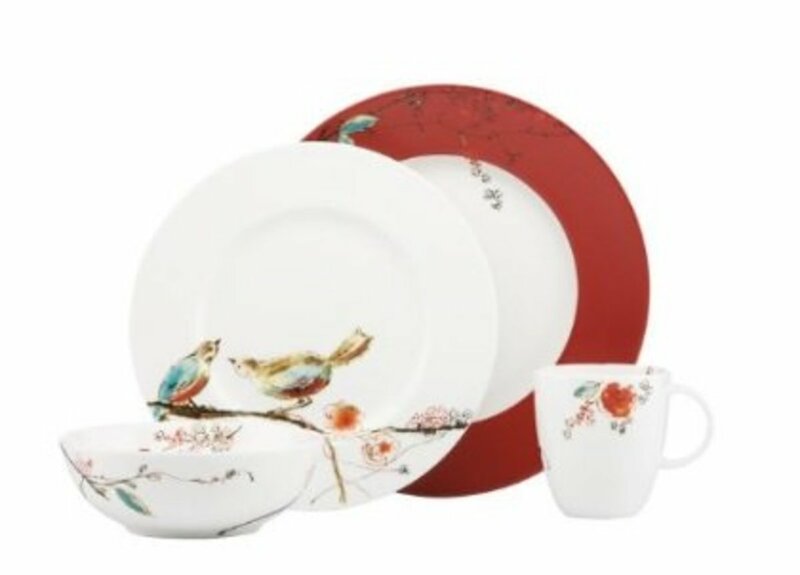 I love the vibrant red and the cobalt blue design, both of which will look great with any home decor. If you have a wedding or anniversary present to buy, any of the Dutch ovens in the Tramontina range would make a perfect and thoughtful gift. For busy Moms, they offer versatility and ease of use making it simple to make a huge range simple and delicious meals like those featured in this brilliant book by Elizabeth Yarnell's book entitled "Glorious One Pot Meals". 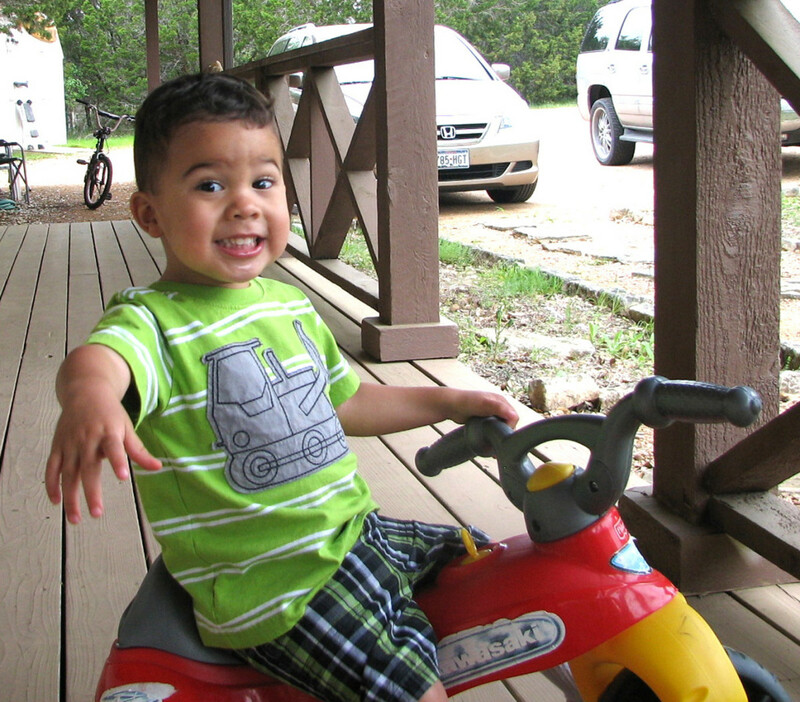 Whether your family is big or small, there will be a Dutch oven in the right size for you! How to Cook Chicken With Mushrooms in a Cast Iron Dutch Oven. 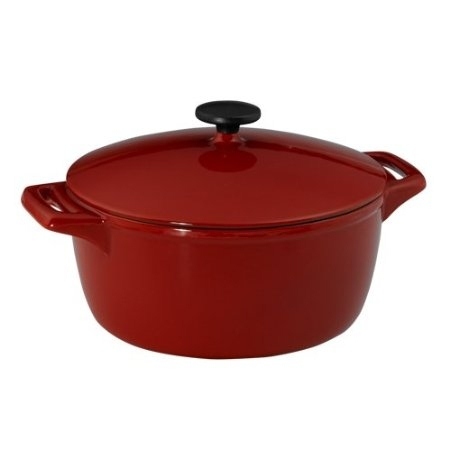 I have a red Dutch oven just like the ones you have pictured that I've had since 1976! It's been used a couple of times a week 'lo these many years, and it's still going strong. I expect to pass it on to my niece when I die!